When it comes to seeing your backyard paradise dreams come true, you need to know where to start. This is especially true if you are considering adding a pool to your space, or improving the look of one you’ve already got. If you weren’t already aware, the term Poolscaping describes the art of sculpting and beautifying the landscape that surrounds your swimming pool. To begin their Poolscaping journey, most people enlist the help of a design and build firm that specializes in Poolscaping. Poolscaping professionals focus their time, energy, and expertise on maximizing the potential of your finished project while working within your budget. Since Ottawa Home and Garden is a Poolscape design and build firm, we can deliver your Poolscaping dream. 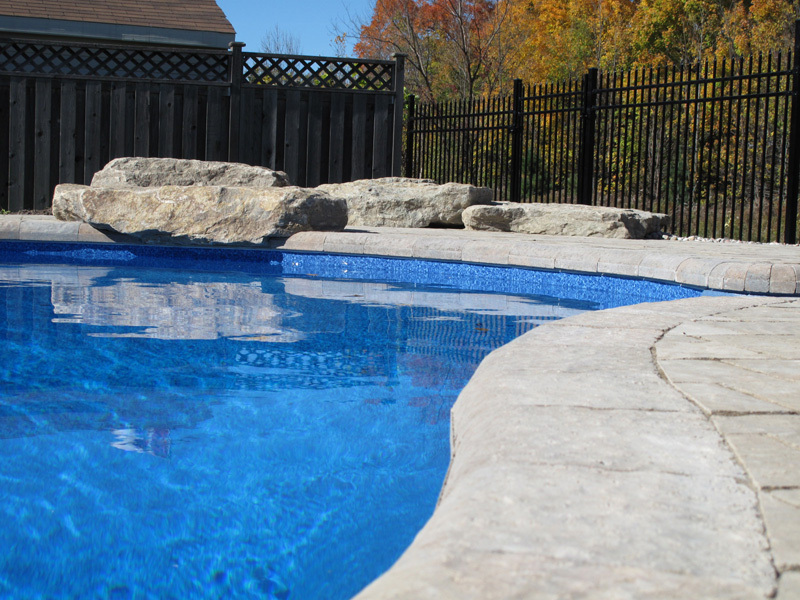 By working with a design and build firm like Ottawa Home and Garden, you gain access to specialized technicians such as our swimming pool installation contractors who can make your Poolscape dream come alive. Ottawa Home and Garden begins the Poolscaping process by starting a dialogue with our clients. We have a high regard for constant, clear communication. We start off by determining which member of the household is available to meet us on the premises and show us around. Then, working closely with you, we figure out in what order you can expect each specialist to arrive at your residence. When Ottawa Home and Garden begins the onsite phase for the Poolscaping process, it’s our goal to gather important information to move the construction forward in a timely manner. By taking measurements of the landscape area once the swimming pool has found its projected installed space, we can then discuss what your vision is for the poolside space. This will include addressing what outdoor features you desire, as well as the functionality of your patio/pool deck. At the communication stage, it’s important to express your dreams, desires, needs, wants, and budgets for your poolside entertainment vision. By doing so, we are able to then include all these elements and begin to design the entertainment space. What’s your vision? Is it tropical, modern or natural? By making these decisions from the get-go, we ensure we are all on the same design page as we move forward. The Poolscaping design phase is an enjoyable experience for us since it allows us to get your dreams and visions down on paper. With more and more Poolscape design options available today, which include various textures like water, wood, and natural stone, as well as features like pergolas and shaded structures, we are able to soften the look so the area feels more like a home spa than a commercial concrete jungle. This may also include incorporating things like special lighting and flowerbed construction into the overall design. Are we allowing room for a patio set? Is there enough space for lounge chairs? Is there enough room for shaded structures? What about the addition of a hot tub, kitchen or fireplace? These elements are all important to your overall poolside dream. Does this mean you have to incorporate everything at once? By no means! Many of our clients build with additional phases in mind due to budget, seasonal changes, and other concerns. With this in mind, we can make a wide variety of recommendations for you to choose from so we can continue to build in the future. This may include laying the groundwork for much-needed infrastructure. As a result, we are able to position certain features in such a fashion that your poolscape dream is accomplished with ease as we go through the different construction phases. 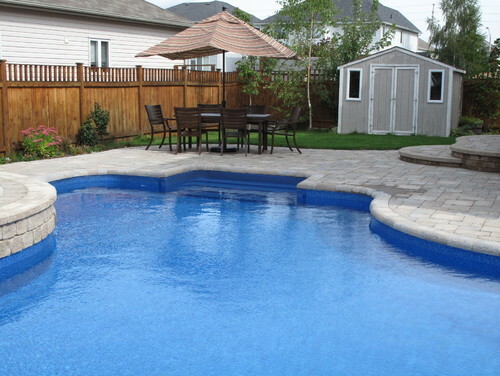 We at Ottawa Home and Garden work closely with our pool specialists to ensure all the elements you desire can be accomplished wherever possible. If things need to be adjusted, it’s a lot easier to make changes when we are working with our preferred specialists. We are able to better foresee the finished product and make the necessary decisions to ensure the project can move forward. This includes time management for Poolscaping materials like interlock paving stones, natural stones, waterfall units, and fireplaces, as well as knowing when to inform the counter top contractor to make his measuring visits for the outdoor kitchen or cooking space, for example. If you have a swimming pool already installed, the process changes somewhat, but our goals for your poolside enjoyment do not change. So, whether the swimming pool has yet to be installed, will be in the works throughout the next couple of years, or the existing pool just needs some sprucing up, we can construct the space appropriately. 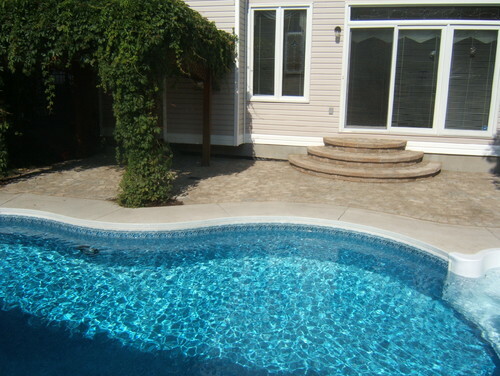 Ottawa Home and Garden has been the Ottawa area’s premier Poolscaping design and build firm for many years. As a result of this dedication, we are confident in our ability to understand, design, and build your backyard to fit your space. So if you’ve been dreaming about that backyard oasis for a while now, we believe it’s time to take the plunge! Simply visualize your Poolscaping dream, allow us to build the pool side space you need, and start planning your staycation. For more information about our Poolscaping services, please take a look through our portfolio, and give us a call or email us today. We’d be happy to provide you with a free Poolscaping estimate and go over your options.